One of the reasons I enjoy writing this blog is to offer readers a glimpse of life from the unique perspective of a cruiser. 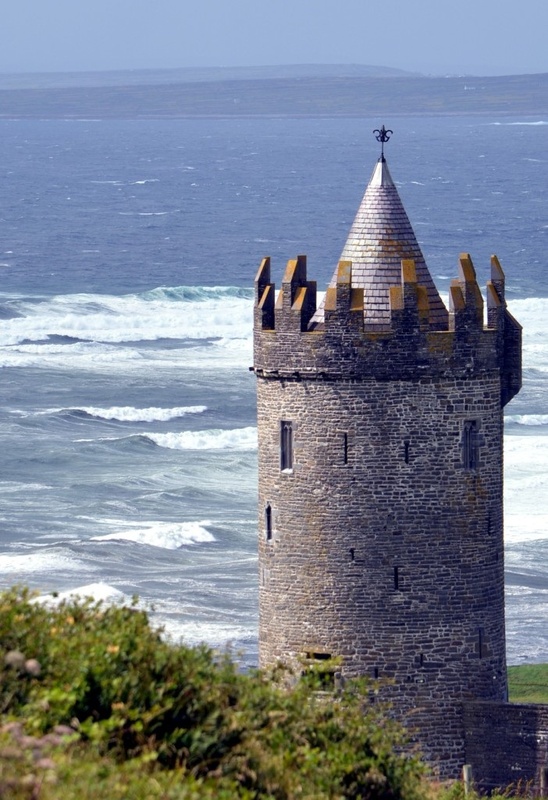 Sailing northwards along Ireland’s western coast is slow going as there’s plenty of bays to explore, miles of coastline dotted with small villages with warm pubs. The weather plays a big part in the pace of our travel, as we are often holed up waiting for a blow to pass over or must bypass some areas to take advantage of good sailing conditions. Sailing this rugged coast offered us magnificent views that most tourists don’t see. The downside is that we don’t always have the opportunity to go ashore and see further inland beyond the small ports. Whereas regular tourists generally have a couple of intense weeks to explore, eat out every night and join tour groups to see local places of interest, the cruising lifestyle is quite different. Although to some we seem to be on a permanent holiday, rarely do we get the chance to explore inland and even rarer, have to budget to blow on frivolous activities! But with the weather nasty for a few days, from Galway we took the opportunity to get off the boat to enjoy travel like regular tourists. So we hired a car for a few days to explore the region that we’d just sailed along. We had a little holiday! With Blue Heeler safely berthed at Galway harbour, we arranged a small car from Enterprise Car Rentals and loaded it up with our tent and sleeping bags. Despite the fact that we don’t drive often nowadays we had no problem getting around as Ireland’s roads and road laws are so similar to Australia. Camper vans are popular in Ireland and in particular many park next to the Galway marina despite there being no facilities. Our plan was to take the back roads and pass through smaller villages and also visit some key landmarks. The trip took us through the counties of Galway, Clare, Kerry, Cork, Tipperary and Limerick. 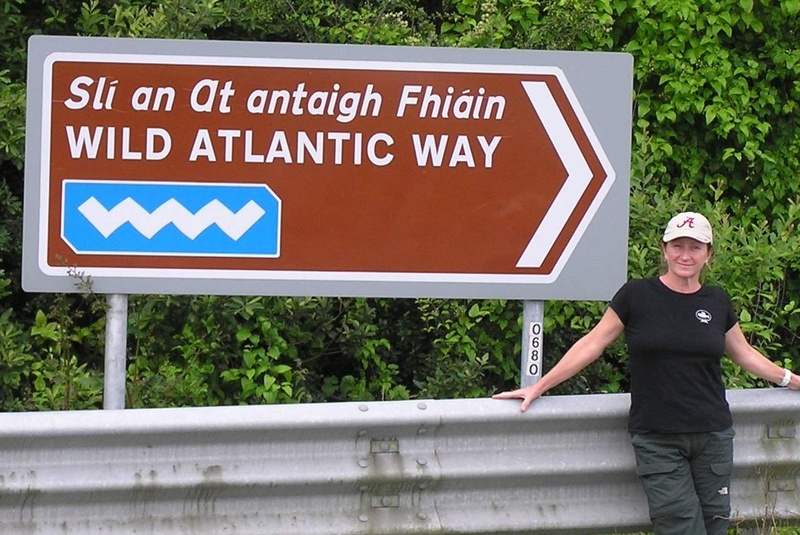 Much of this trip was spent travelling along the Wild Atlantic Way -Allegedly the longest signed coastal road in the world (as stated on their website). Ireland is small but it would be easy to spend weeks exploring, but we only had a short number of days with a car and Blue Heeler would be moving up the coast with the next few days of fine weather. 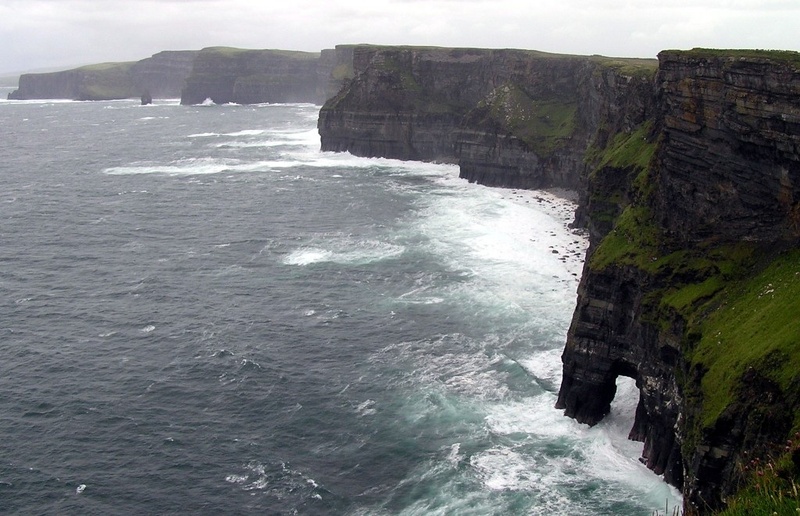 With the promise of 5-6m seas (the same seas keeping Blue Heeler in the harbour) our first stop was to the Cliffs of Moher, which we’d sailed by in fine weather only a few days previously. The drive took us through The Burren; a 1500 hectare expanse of limestone covered with a smattering of flora. The Aran Islands a few miles off the coast are an extension of this barren geography. 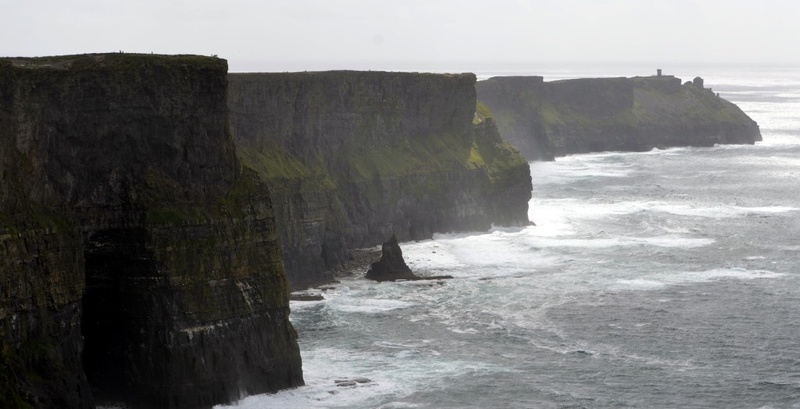 Hundreds of tourists all vied for position to peer over the edge as the view from the top of the cliffs is quite spectacular. The big swell caused the cancellation of all ferry traffic from the main ferry terminal at Doolin to the Aran Islands and there were definitely no yachts sailing out there that day! Continuing our journey, we headed south passing through Shannon, Bunratty and on to Limerick for a hearty Irish breakfast of sausages, black pudding, white pudding, eggs and proper thick streaks of bacon. Yum! 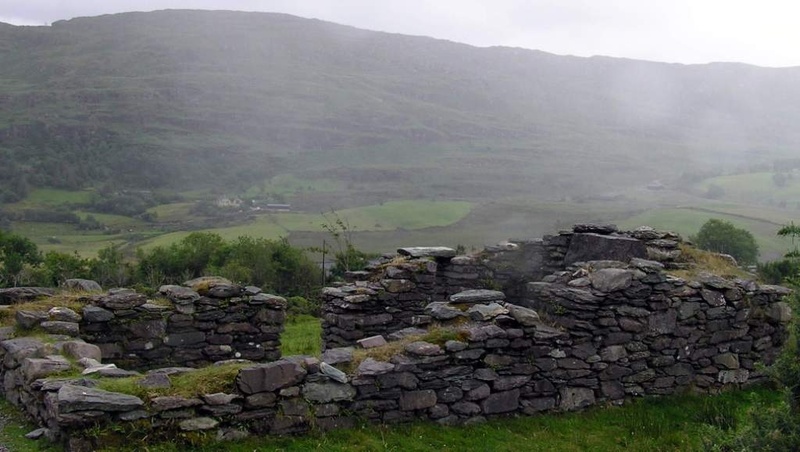 The troubled history of Ireland is well documented and most people are familiar with its past, particularly regarding the Great Hunger, also known as the Potato Famine. It’s almost beyond belief that between 1845 to 1854, the population of over eight million dropped by 25%. Many Irish left due to harsh conditions brought about through hunger and eviction by landlords, while over one million died from disease, often a result of starvation. They were already in a bad way, and the famine just made survival so much harder. Many of the towns we passed through were the worst areas affected with thousands of starved people buried in mass graves. After reading about this period in history it really is quite shocking how these poor people were treated. Mass emigration during that period meant that many current Aussies, Canadians and Americans have Irish ancestry. During our road trip we did notice a huge percentage of American tourists, many I expect researching their heritage. There were plenty of Aussies too, but you’ll find them in most places! Wayne’s research has led him to believe his Great-great-grandmother (Johanna Murphy) on his mum’s side was from County Cork and left Ireland in 1847 at the time of the famine. Ireland is known as the Emerald Isle for a good reason. It is probably the greenest land I’ve ever seen. Acres of bright green fields divided up into small parcels of land divided by metre high rock walls covered in prickly blackberry bushes. In the past these small tenements offered poor tenants the chance to grow small crops, usually potato as this vegetable provided a good yield for a small plot and could keep a family fed. 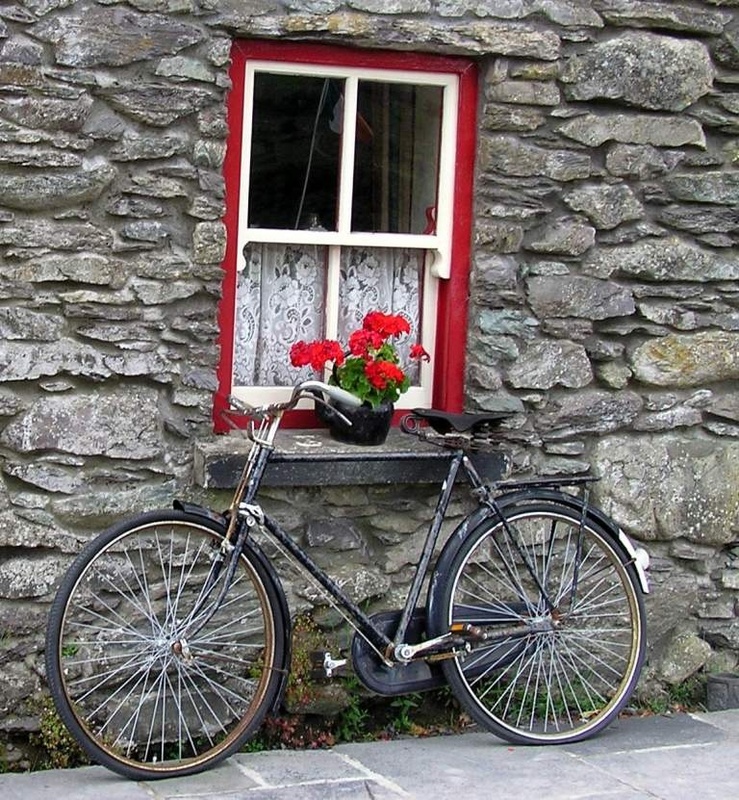 Along our journey through towns and villages such as Limerick, Tralee, Dingle, Killarney, Bantry and Skibbereen are ruins of stone cottages and miles of rock walls – reminders of the tragic past. Our trip took us through Ireland’s first national park – the scenic Killarney National Park which includes McGillycuddy’s Reeks, at 1,000m the highest mountain range in Ireland. A popular place for hundreds of tourists and tour buses. From Killarney we drove through the quiet side roads, leaving the motorway to the buses and tourists. For the evening we ended up at a small village of Glengarriff where we pitched our tent at the caravan and camping park. The weather wasn’t so cold but we were the only ones in a tent! I think it’s been five years since we last used our small two-man tent, and it wasn’t long before we had it erected, inflated our Thermarests and fluffed up our down-filled North Face sleeping bags which we bought in San Francisco 26 years ago (still going strong!). The village of Glengarriff is 2kms from the camping ground and there are a couple of pubs and eateries. A big feed, a pint of stout and a red wine for afters, then we were back to our little tent and snuggled in for the night. Next morning after shaking off the raindrops from the tent, and sitting in the warmth of our car while the tent dried in the morning sunshine, we packed up camp then drove through the village of Ballylickey at the western end of Bantry Bay, then through Skibbereen, along to Clonakilty then Timoleague where we stopped to take more photos (I had learned at this point not to take photos of every castle, every abbey and every green paddock!). From Timoleague we drove through to the port of Kinsale then on to Cork for lunch and a wander around. From Cork we took the back roads through Ballyhooly until we reached the town of Tipperary. Wayne had a pint at the pub while I had a coffee before grabbing some goodies from nearby Aldi. We decided to return to the boat that night as it was only two hours drive away, and the next day we wanted to travel through the Connemara area to the northwest of Galway. So much to see! 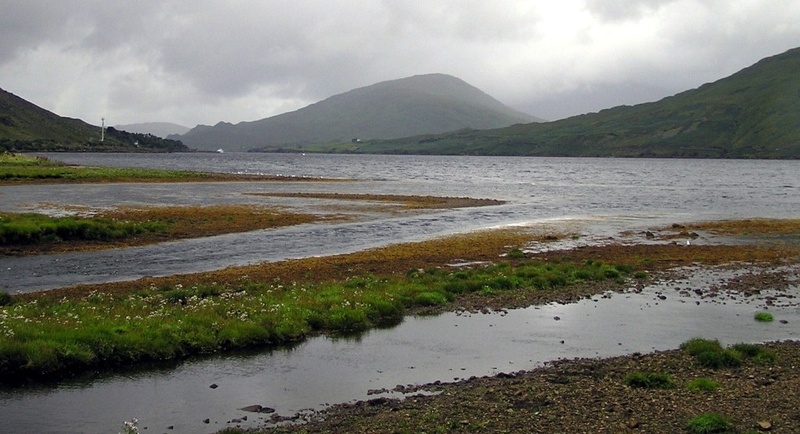 The Connemara National Park is almost 3000 hectares of mountains, bogs, forests and lowlands. Taking a slow trip along the coast road we detoured at one point to view the expanse of peat bogs – wetlands made up of dead plant material. Large patches of the bog are dug and the blocks stacked to the side to dry out. Once the moisture has gone, the peat is compressed and turned into briquettes which are then used for domestic fuel. About 20kms from Galway is Rossaveel, where punters can catch ferries out to the famous Aran Islands. There’s also a small harbour here for yachts, but not much else it seemed. From here we passed through Roundstone, Ballyconneely, passed by the island of Inishnee (Hi Jim and Kathy!) and had a look at the anchorage at Killary Harbour. To the west the touristy town of Clifden is 70kms away from Galway and we (plus a hundred other tourists) stopped at the very popular Walsh’s Bakery for a steak and stout pie then took a stroll through the drizzle. 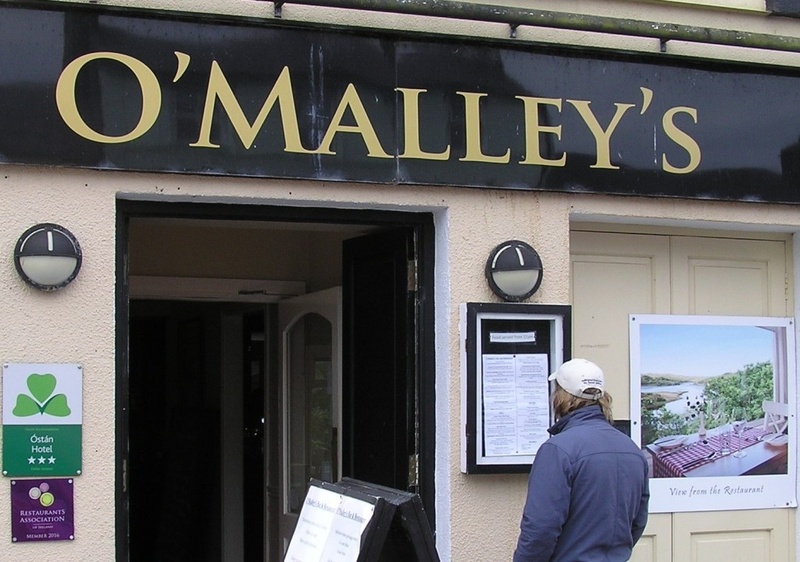 A pub named ‘O’Malleys’ had us singing the bawdy O’Malleys Bar lyrics by Nick Cave! Onto Letterfrack stopping for views of Kylemore Abbey (another tourist hotspot), then circling the beautiful Connemara National Park in the rain before following the eastern coast of Lough Corrib, the largest lake in Ireland. Before returning to Galway, we made use of the car and stocked up on groceries. Here is where the holiday ended. As Galway marina has no laundry facilities (in fact no facilities), nearby at the Texaco service station is an outdoor laundromat – a couple of washers and a drier. While it rained outside, I sat and waited in the car as 8kgs of clothes washed, spun and dried within an hour. And just like that our short holiday was over. Within a day or two the wind had eased and the tide was high – it was time to leave Galway and head to the Aran Islands then continue our voyage along the north-west coast of Ireland. Great little side trip!! Safe sailing and we hope the Atlantic is not wild! Great to read of your travels – we will sail to Ireland next year! Maybe catch up when you reach England? Sure Jenny, we will likely be heading for Portsmouth for winter. Hope to see you again! Certainly is a beautiful and picturesque country. I visited limerick and went to the cliffs of moher this time last year. Heading off to the uk on Wednesday for a few weeks. Will stay tuned for your next progress report. Keep in touch. We’re also headed to UK in a few weeks.